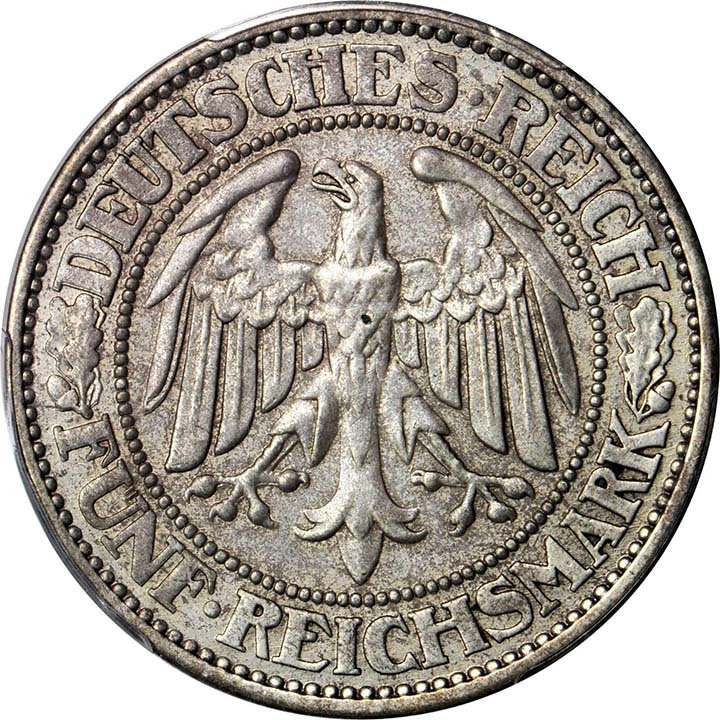 This discovery 5 Mark overdate is one of only two known overdates on any denomination on any coin from the Weimar Republic. The German government in 1931 was in chaos with millions unemployed and dealing with the German bank crisis. 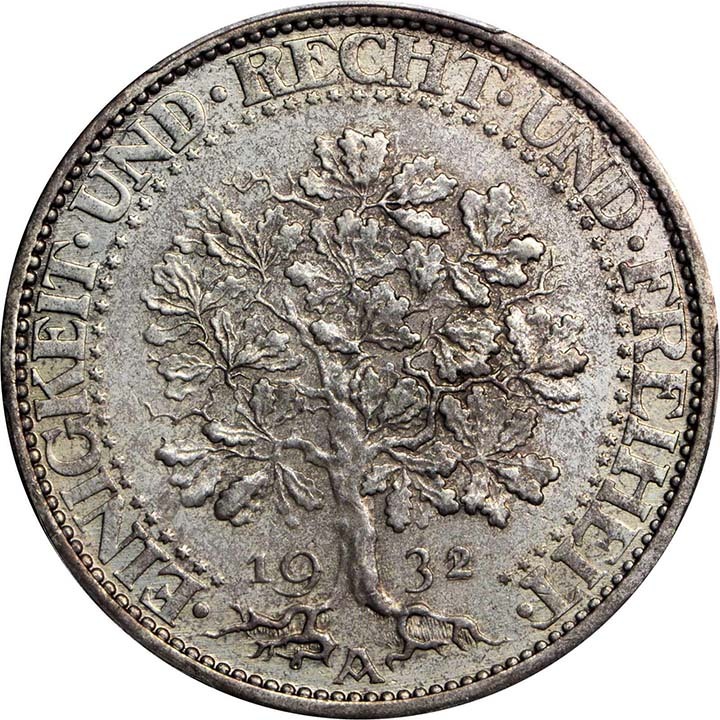 The most likely scenario is that the Mint used a leftover 1931 dated 5 Mark Oak Tree die and economically changed it to 1932 but left the "1" on the die. 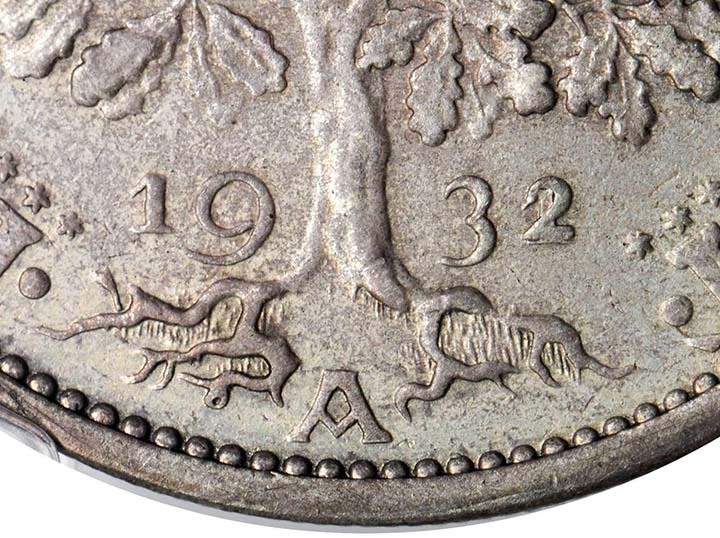 Once this error was discovered, the struck overdates were melted and destroyed and new 1932 dies were made to strike 1932 dated 5 Mark Oak Trees. Somehow this one overdate coin survived and was finally authenticated and certified by PCGS. 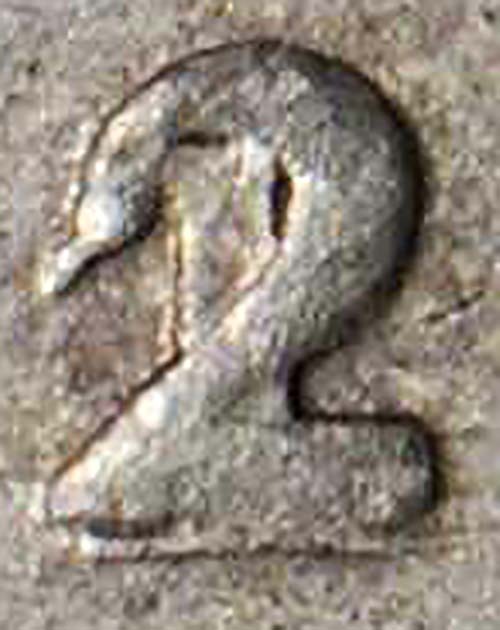 It is lightly circulated indicating that it was either discovered in circulation by a sharp eyed collector or carried as a pocket piece and souvenir by the mint employee who kept it. Regardless of the scenario of how it was produced and how it survived throughout the decades it is one of the more fascinating and exciting rarities of German coinage. 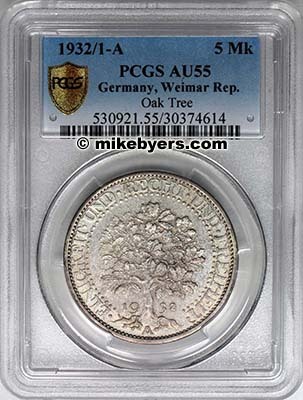 It is destined for a world class collection of German coins or numismatic treasures.